'Bitter Rivals' is the longest active running thread in the history of "Baseball-Fever.com". 3 quarters of a million viewers worldwide! Which teams do you feel have the strongest, 'Most Bitter Rivalry' in Major League Baseball today? What makes your favorite rivalry so special to you and what do you think is needed to make a rivalry stand the test of time? "THE" rivalry began over 100 years ago. Ever since it has taken on a life of its own! It starts with the owners, to the front office, coaching staff, players, right down to their fans (past & present). Unlike some other rivalries, these two teams have never relocated to, or from another city since their inception into the league. With the exception of numbers being added to the jersey's back, their basic team uniforms have remained the same since the Titanic sunk! 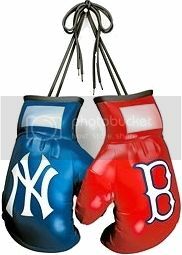 I feel no other rivalry can match this historic Boston Red Sox - New York Yankee rivalry. Especially when in 2004, the Red Sox made MLB playoff history as the first team ever to come back from a 0-3 games deficit to win the American League Championship Series. Oh, BTW, their opponent was the New York Yankees. That historic comeback enabled them to go on to win their first World Series in 86 years by sweeping the Cardinals. The Red Sox followed up their 2004 Championship with World Series titles in 2007, 2013 and 2018. To me, this rivalry is not only the best in MLB but in all American pro sports. Last edited by KenFougere; 01-26-2019, 09:04 PM. Last edited by YankeeMan; Today, 03:31 AM. According to Jostens, which worked with the Red Sox to make and design the rings, each ring has 185 total stones. That’s not by mistake, either, as 185 is the sum of regular-season games (162), postseason games (14) and Red Sox world titles (nine). The 14-karat gold rings feature 14 princess-cut diamonds and 21 custom-cut genuine rubies as well as 22 custom-cut blue sapphires. The rings also include a ridiculous 128 diamonds in two rows across the top of the ring, one diamond for each of the team’s regular-season and postseason wins, plus nine for the ninth title in franchise history. There are also intricate designs on the side with 100 bricks to celebrate the centennial of the 1918 World Series championship. Oh, and the inside of the rings looks pretty cool, too. Last edited by KenFougere; 02-24-2019, 11:14 PM. "I wanted to come back and experience that again, hopefully, be a part of it this year and win another World Series." The Red Sox are World Series Champions Again and troll their N.Y. rivals. 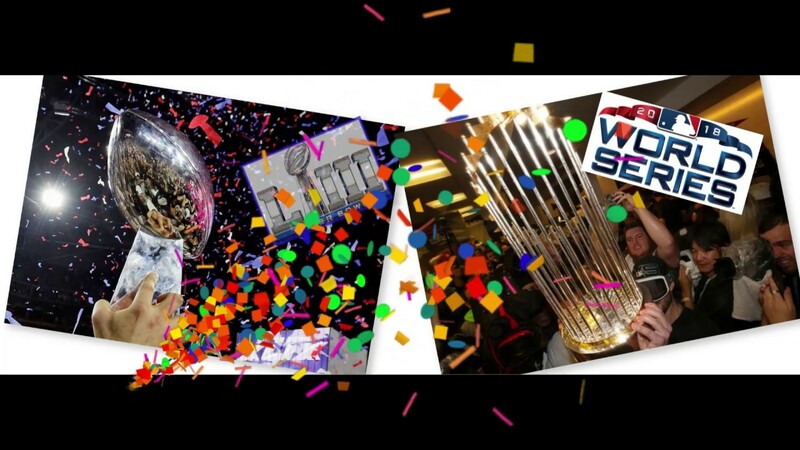 Winning the World Series always comes with a blowout celebration, that's no surprise. they played Frank Sinatra's "New York, New York" in the clubhouse after their final win. Aaron Judge played "New York, New York" at Fenway Park. Did this doom the Yankees forever? Could this be the beginning of their own 86 year "Curse"? Last edited by KenFougere; 11-01-2018, 07:22 PM. Congratulations Red Sox Nation -- good luck in the ALCS! Thank you my Yankee friend. Come back more often. You were missed. Why would you, of all people, ever pick MLB's best team to beat your, very distant second place team?